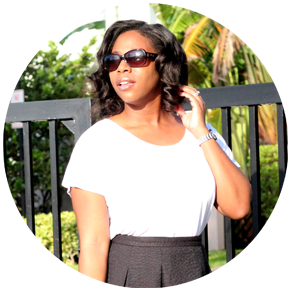 Personal style is ever-evolving, but for me there are a few things that are just ingrained. I love a simple color palette – neutrals especially make me happy – and if I do diverge and get wild with, say a floral print, 10 times out of 10, it's going to be in one of my signature girly silhouettes. Full skirts and I developed our love affair during my postpartum phase, aka "the snap back," and we've been infatuated with each other ever since. (Yes, people, we have a two-way relationship going on; I love fulls skirts and full skirts love me.) Although this skirt is floral, it's surprisingly versatile and can be dressed up or down – or in this case, in between – with ease. That Zara bag is absolutely gorgeous! I am loving that skirt with that bag! Totally chic!